Synthetic hair, this classic brush design has been tweaked to be flatter to save foundation product clogging in the fibres. And to include the thinnest synthetic fibres giving the smoothest finish. Dip the flat of the brush into the foundation and slide over the skin in long strokes, use shorter strokes where blending is required. 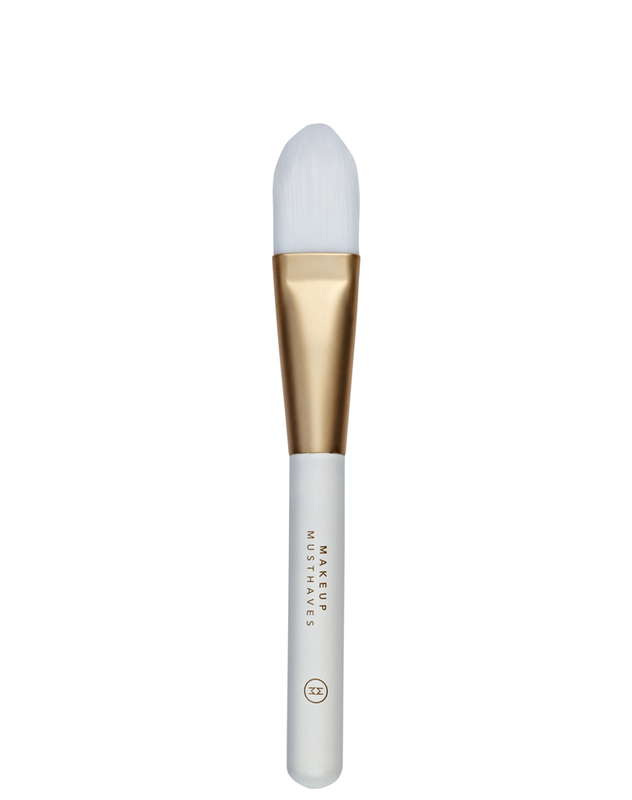 This brush can also be used for a glowing look, using a liquid highlighter, dip the flat of the brush in your product and pat over high points before applying foundation. This brush can also be used for the application moisturiser or primer.